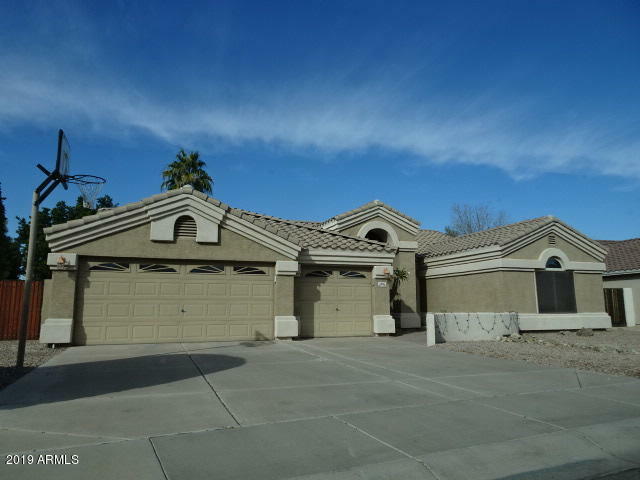 All DAVE BROWN LAMOREAUX FARM homes currently listed for sale in Gilbert as of 04/22/2019 are shown below. You can change the search criteria at any time by pressing the 'Change Search' button below. 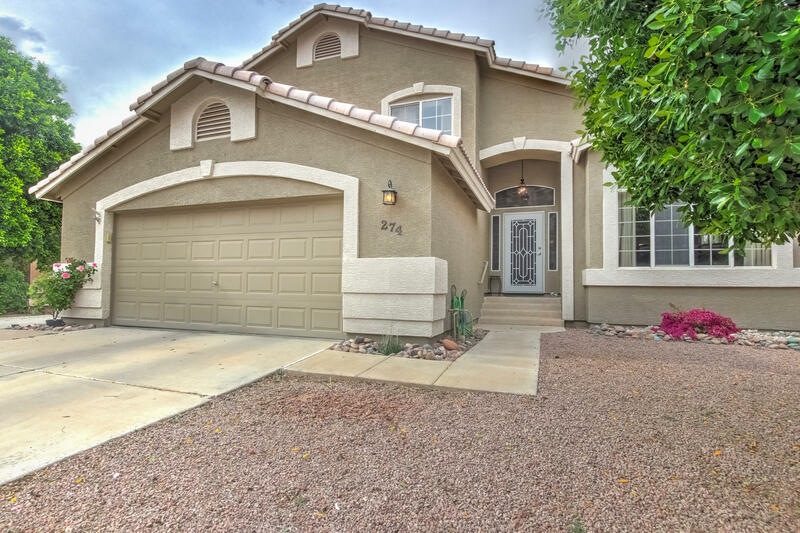 "Situated on a 1/4 acre, corner lot just minutes from Down Town Gilbert, scores of dining, retail and entertainment venues, US-60 & L-202,this single-level, 4BR/2BTH charmer comes with a large sparkling Pebble Tec pool, covered back patio, usable RV gate, has a split floorplan with vaulted ceilings and features an open concept layout with tile flooring in all the right places, ceiling fans throughout, warm,neutral tones, loads of natural light, a generous kitchen boasting granite counters, lots o"
"WOW! This home is renovated and situated on an oversized private lot backing to greenbelt and heritage trail. (no neighbors behind) Your backyard retreat features a pebble tech pool with gorgeous waterfall, flagstone patio, RV gate, buit-in BBQ, garden and grassy area. Gourmet kitchen with granite counters, large pantry, glass front cabinets and vaulted ceilings. 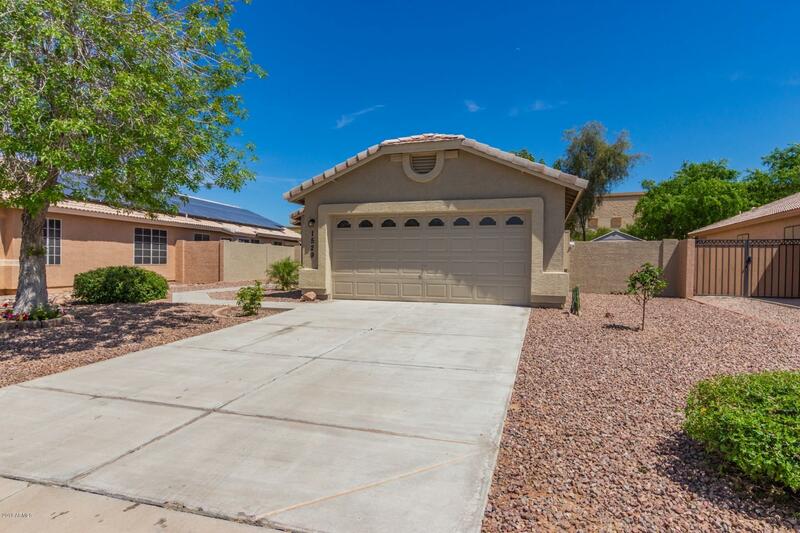 Newly renovated master shower with new shower door, new bath mirrors and updated fixtures, new master toilet, newer water heater, fres"
"Fantastic home in a great Gilbert location! Fall in love with the superb architectural design that offers vaulted ceilings, decorative niches and picture windows. Large eat in kitchen boasts stainless steel appliances, custom cabinetry with upgraded hardware and ample counter space. One bedroom/den and 3/4 bath downstairs. Master bedroom has spacious walk in closet and bath with garden tub, separate shower and dual sink vanity. Private backyard oasis perfect for entertaining with a covered patio"
"Gorgeous 3 Bedroom 2 bath sought after Gilbert Home. Minutes from Downtown!! 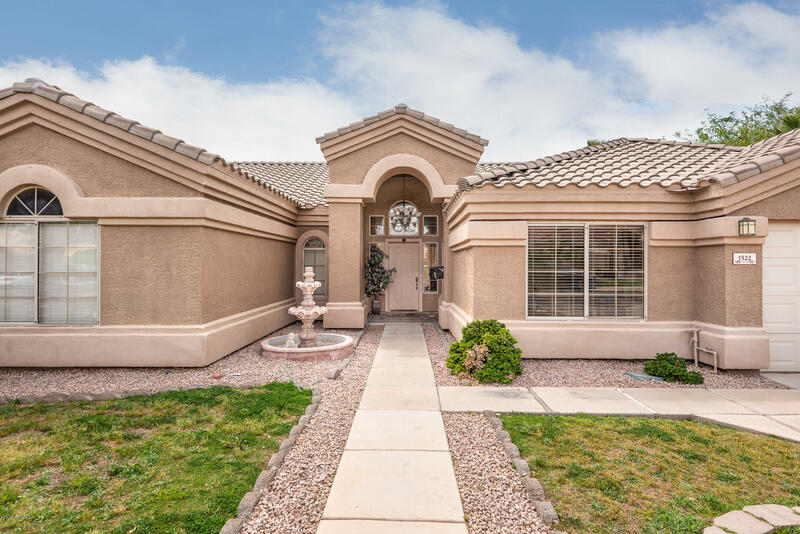 This home has been remodeled and is your diamond in the desert! Features a great floorplan with new two tone paint ,new wood look tile through out and new custom carpets in the bedrooms .This kitchen is exquisite, complete with new granite countertops and new stainless steel appliances. Light cabinetry and open to the living room, the dining area and kitchen offer endless entertaining possibilities. This generously"